A San Fernando Valley man died of West Nile in the first virus-related death in Los Angeles County for 2014. 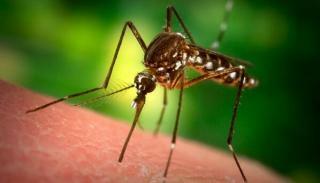 A man in his 60s died in the first West Nile fatality in Los Angeles County for 2014, health officials said Friday. The San Fernando Valley man had pre-existing health conditions and was hospitalized at the time of his death, according to a news release from the Los Angeles County Department of Public Health. “Although most people bitten by a mosquito are not exposed to West Nile virus, some individuals may become infected with this disease and may experience symptoms that can last for months, or even years, such as fatigue, malaise, and depression,” said Jonathan E. Fielding, the county's director of public health. Twenty people have been infected with West Nile in LA County so far this year, including three asymptomatic blood donors, officials said. “Residents can greatly reduce their risk of mosquito bites by following some simple precautions, such as getting rid of pools of stagnant water around their homes, and using a repellent containing DEET when outdoors in mosquito prone areas, especially around dawn or dusk,” Fielding said. Reported cases of West Nile in 2013 was among the highest numbers since 2004. More than 160 cases, including nine fatalities, were reported during that period. West Nile has been detected in 139 mosquito pools, 31 dead birds and 26 sentinel chickens located all across Los Angeles County. A woman in Orange County, who also had underlying medical conditions, died of the virus last week.